I have been experimenting with primers recently (did you see my half and half face experiment HERE?) so it seemed only fitting to dedicate this week's MAC Monday to my MAC Prep + Prime Skin. MAC Prep + Prime Skin was the first primer that I bought. 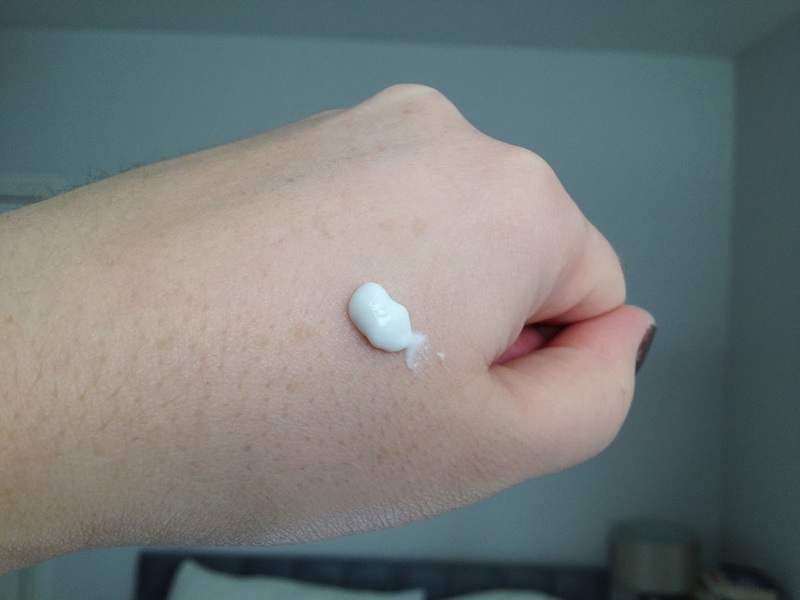 MAC describe it as an ultra-fluid lotion with special-effect silicones. They say it calms and soothes skin, tones down redness, blots excess oil and creates a good base for your foundation. I would describe the texture as like a whipped mousse. It applies really well, very much like a moisturiser does. When I first swatched it on my hand it had a real shimmer to it, but this doesn't translate onto your face. It feels light on the skin and is not sticky. I love the packaging! The black plastic cylinder has a slight shimmer to it if you catch it in the light. It has a pump action and generally 1-2 pumps is sufficient for your face. The downside of this though is that I have no idea how much product is left inside. One day I will go to pump it and it will be gone - so infuriating. I don't tend to buy MAC skin care, foundation or concealer products. They have mixed reviews and I usually stick to their eye shadows and lipsticks which I feel are what they do best! But I like this primer, it feels nice on the skin and I use it when I want a lighter feeling primer than my favourite Smashbox Primers. I wanted to choose MAC Prep + Prime Skin for my MAC Monday post as it is a departure from all of the other MAC products I own. That said, whilst I do like it - when its all gone I don't know if I will repurchase it. Primers are useful but I'm not fanatical about them and frankly I haven't found a better primer than my Smashbox Colour Corrector Primer. After all, how many do you need? I can't say I have the same control around the MAC eyeshadow and lipstick counters though.... (I need them all!!). MAC Prep + Prime Skin is £20.50 for 30ml HERE. 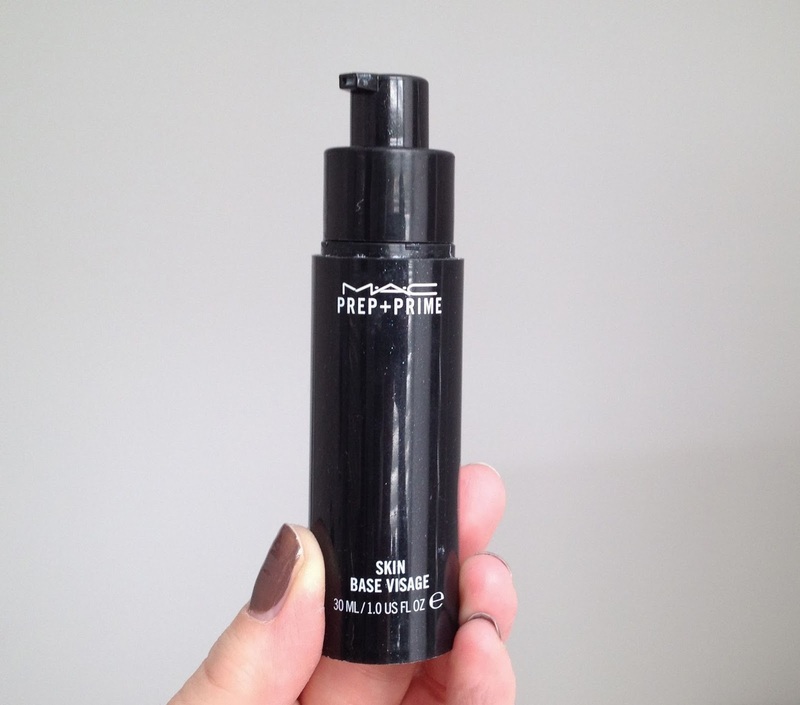 How do you think MAC Prep + Prime Skin compares with other primers? Would you recommend any MAC skincare products? Fancy having a little nosey through my other #MACMonday posts? Uh oh I've been an 'enabler' haven't I? Good!